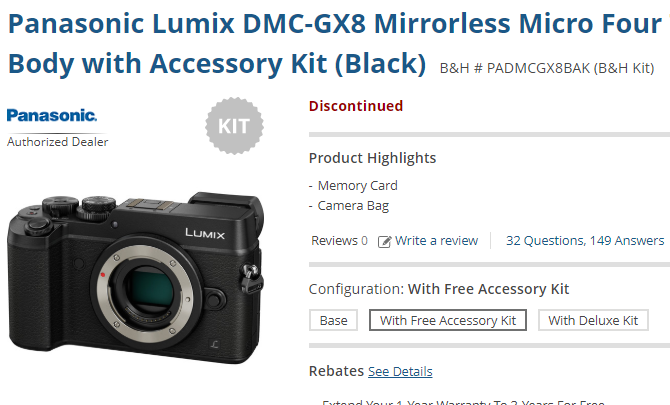 Panasonic Lumix GX8 is now officially listed as discontinued at B&H. However, it is still on sale at Amazon and Adorama. Panasonic GX8 was announced three years ago. The successor Panasonic GX9 was announced in February this year. This entry was posted in Panasonic Camera and tagged Panasonic camera rumors, panasonic lumix GX8 on October 23, 2018 by admin.